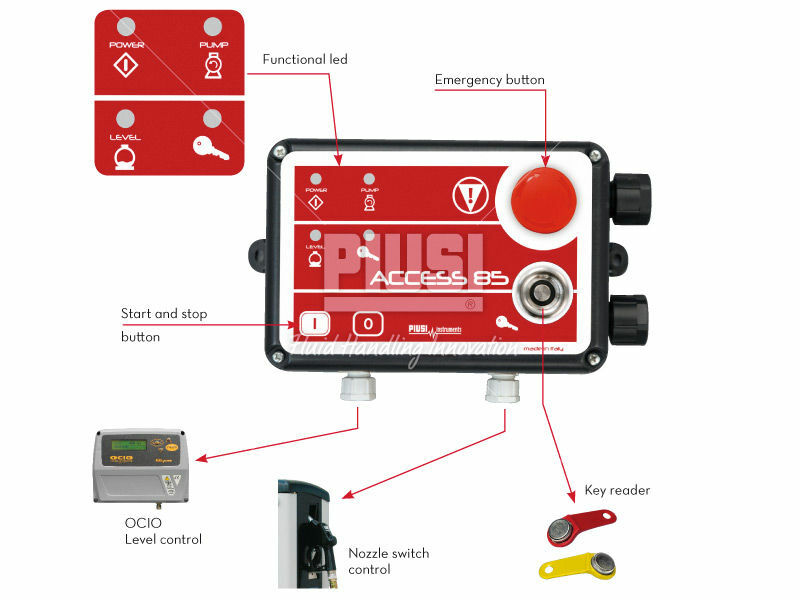 Pump station controller - ACCESS 85 - PIUSI S.p.A.
Robotics - Automation - Industrial IT > Automation > Pump station controller > PIUSI S.p.A. 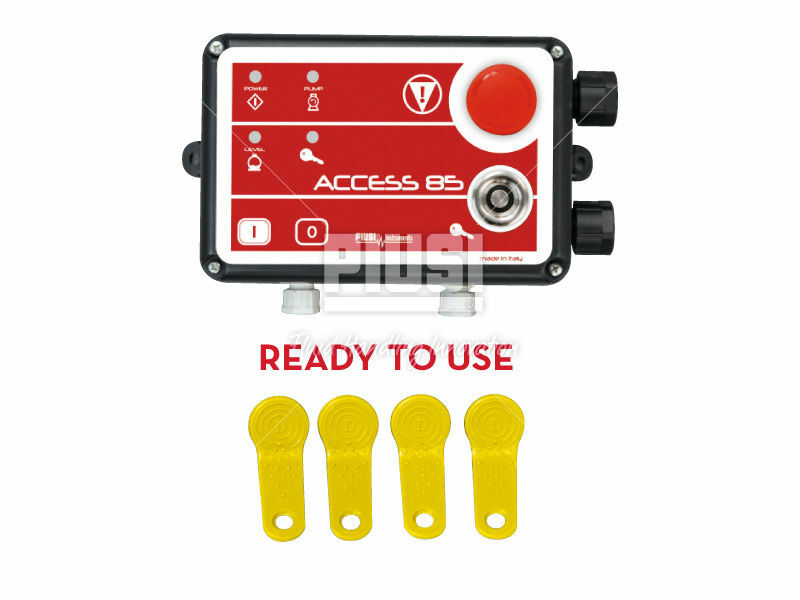 The Access 85 is an electronic pump station controller that is specifically engineered for the optimum control of the withdrawal of fuel from tanks. 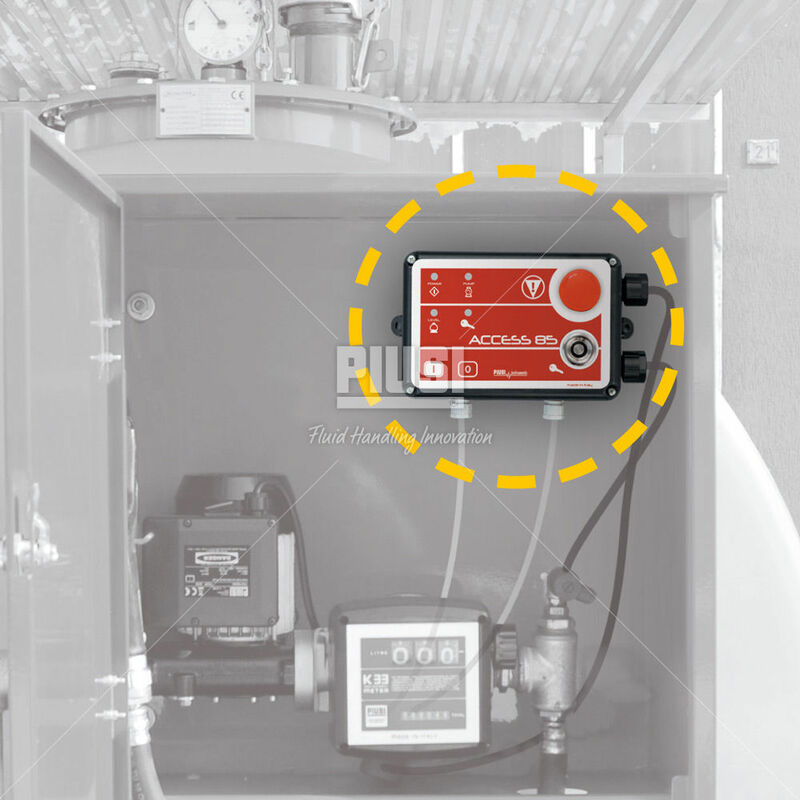 This unit is capable of controlling pump start and stop and is accessed through an electronic key. It is also integrated with an emergency stop button and when linked to the OCIO, minimum tank level is easily detected thus blocking the pump.